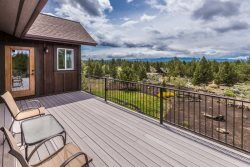 Great location, in the heart of Bend Oregon's trendy Historic District. One block from the Box Mill shopping center and walk to Old Mill and downtown Bend. One Bedroom ADU over Garage with private alley access. Full kitchen and large living area with lots of light. Pet friendly. Be in the center of Bend's trendiest neighborhood in this carriage house ADU just a block from the Box Mill shopping center. Walk or ride your bike to Market of Choice, Old Mill or Downtown Bend, OR. In the heart of Bend Oregon's trendy Historic District. The 1 Bedroom ADU over Garage has a private alley access and lovely outdoor space for relaxing. A full kitchen and large living area has lots of light. There is a queen bed with large closet in the bedroom and a full bathroom. The eating bar seats two comfortably.